● Contract Bonuses: For full time: Medical insurance, paid holiday, on going support and training, visa and work permit fees, end of year completion bonus etc. When I first took my CELTA certificate to teach English as a second language, I had no idea that I would end up teaching on the other side of the world, away from everything I knew, in one of the most amazing countries in the world: Vietnam. Nor did I know that it would become my second home, where I would make some of the best friends I could ask for and return time and time again. Nor did I know that I would save more money in one year than I’d ever saved back home and live a life of luxury like I’d never experienced. I was also unaware when I left home in February 2013 that over four years later, I would still be travelling, still making use of my teaching experience and with no plans to return home anytime soon. The traveller’s life really has captured me. I mean, what’s not to like? 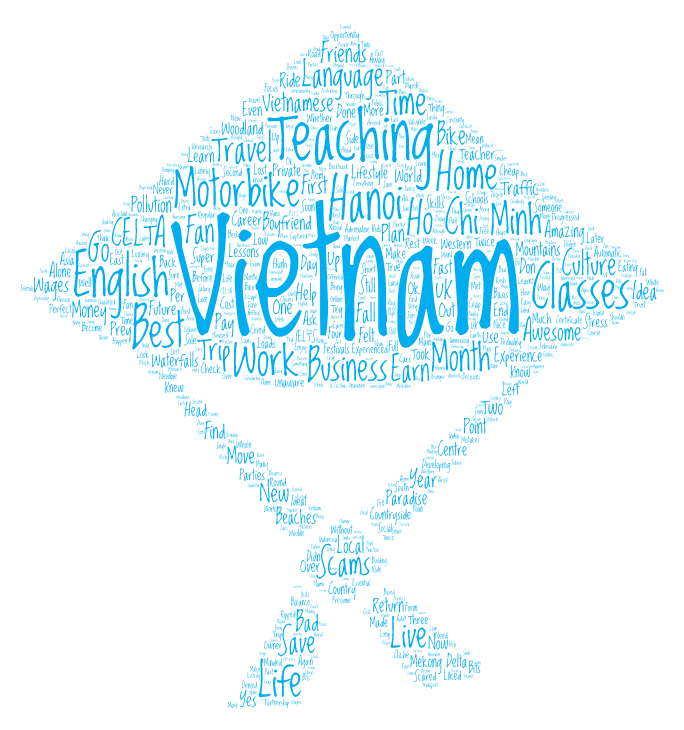 The work life balance when teaching English in Vietnam really is perfect, with high wages and a super low cost of living, you don’t have to work much to be living your ideal lifestyle! In Vietnam I was saving £1000 per month, eating out twice a day every day, going to festivals and parties on a regular basis, spending time with the locals and really immersing myself in Vietnamese culture, getting to travel around the rest of Southeast Asia for super cheap, my social life was the best it’s ever been and I was constantly building a career and valuable skills that would be essential for my future business. Yes, I did say my future business. I had no idea when I first moved to Vietnam that just three short years later, I would be the sole owner of a business which helps like-minded newbie teachers move to Vietnam, teach English and have the life changing experience that I had- but without all the stress. So yes, there was stress. I was scammed, I was ripped off, I got lost, I cried, I felt lonely, I felt scared, I did things I probably shouldn’t have, I made some bad decisions and I learnt the hard way. While this is all part of travelling, and part of what makes you stronger (yes, cliché I know, but so true!) it is also something that I could have done without. Wouldn’t it be nice to have someone to learn all of the lessons for you so you don’t have to go through the crap bits? How awesome would it be to have someone who has been there, done that and made the mistakes so that you can focus on the amazing country that is Vietnam, and just enjoy the experience? Ok. I’ll backtrack. The bad parts of teaching English in Vietnam. There are scams. You will probably fall prey to it at some point. Whether this is just paying too much for an item at the market or being denied a whole month’s salary- it will happen at some point. Unfortunately, most Western teachers earn more in one week teaching English than most local people earn in a month. Many locals will presume that because you are “white” or English is your first language then you must be loaded and so you can afford to pay the extra. Trust me, this gets really frustrating! Then of course, if you try to find work alone, you need to make sure you’ve done the research, that you check and double check your employer’s credibility and that you know what scams to look out for. Even qualified, experienced teachers can often fall prey to the smaller language centre scams. The pollution can get depressing as well. Vietnam is developing so fast, and although the motorbike is the main form of transport still, there are now more cars on the road than ever before. Luckily, it’s easy to escape to the countryside in Vietnam, which is absolutely stunning. Beaches, waterfalls, mountains, woodland- Vietnam has it all. Also, learning to ride a motorbike in Vietnam was the single most scary and adrenaline pumping thing I have ever done, and to this day, I am a huge fan of the motorbike. I started on an automatic (and arrived at work shaking after driving alone through rush hour traffic for the first time), progressed to a semi-automatic and finally got (free) lessons on a manual bike. I then did a three-month motorbike trip from Hanoi to Ho Chi Minh, over to the Mekong Delta, and then took a ferry over to Phu Quoc Island – paradise on Earth! It was during this trip that I met my boyfriend of two and a half years, and we plan on doing a motorbike trip across India and Indonesia. Not bad, considering before I left the UK I had never even thought about riding a motorbike. 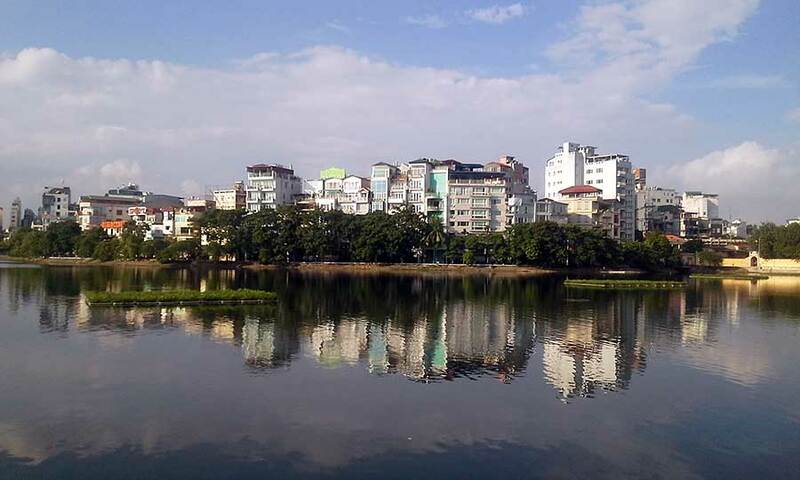 The best part for me is the opportunities which arise when working in Hanoi. Aside from now, having my own business to help teachers who want to move to Vietnam, progression is fast. You can find yourself as a senior teacher, assistant head or even the head of a language centre very easily. I have also been offered a business partnership with shares in a new language centre, based on my “expertise”- which I think was mainly that I was Western. Whether you just fancy teaching English for a year or two or developing it into a full life-long career, there’s loads to choose from: language centres, private classes, private schools, public schools, business English classes, kids classes, adult classes, IELTS, exam practise, conversation classes, online teaching etc. You name it, you can probably do it in Vietnam – the land of opportunity! 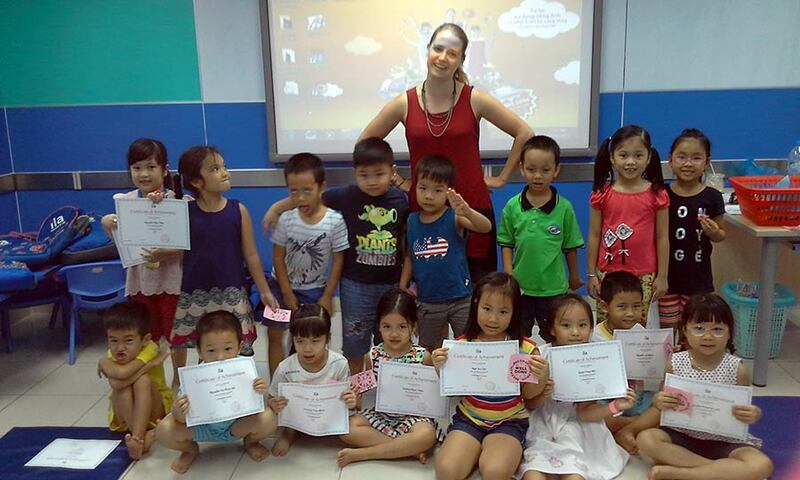 Are you interested in teaching English in Vietnam? Browse English teaching jobs in Southeast Asia on the job board. Have you taught English abroad? Submit your story and it could get featured in our next blog publication. 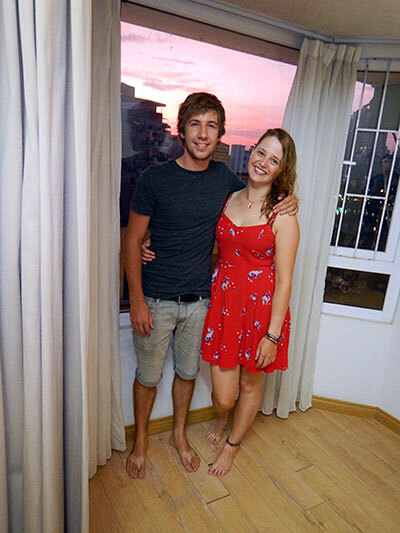 Read more stories about teaching English abroad on the blog. Vietnam is a wonderful, fascinating and exciting country. It is a fantastic place to teach and encourage anyone who has the opportunity to travel and teach there to do it. This is a great article and provides good info for prospective teachers. For all those teachers considering future opportunities abroad, it would be greatly appreciated if “stress and scams” section could be expanded and elaborated. Examples of such would help those considering teaching ESL students elsewhere other than their own hometowns. It sounds like you went through a lot but really glad you found your feet! The scams sound horrible, especially when all you want to do is teach. I guess you learn quick though! What kind of reasons did they give for not paying you?? I was glad to hear you wrote about the negatives of Vietnam. This piece was insightful–ranging across many topics. Great insight into teaching in Vietnam, I only did this online so could stay in our comfy condo 🙂 Great to have a breakdown of the costs etc at the start too, v useful. Dear Charlie, that’s fair enough! Next time definitely visit the country though, such amazing people and a wonderful culture! Glad that you found everything useful! I’m curious if you would recommend HCMC or Hanoi for a first time teaching gig.